So I decided to find out: How could this pocket-sized book, which has already sold over 2 million copies and sits firmly atop the New York Times Best Seller list, make such a big promise? Here’s the short answer: Because it’s legit. While it sounds too simple to be helpful and too crazy to be useful (how can you expect everything your house to bring you joy? ), Kondo’s method really can change your life — if you let it. 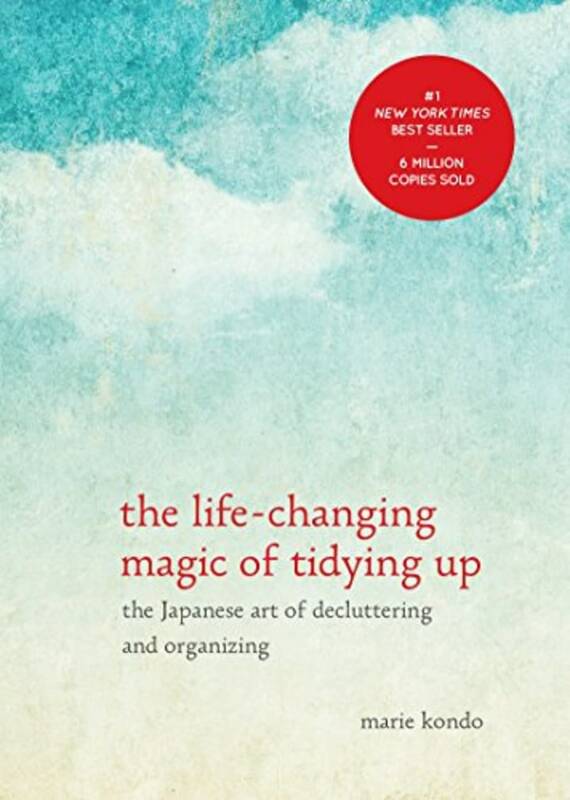 "The Life-Changing Magic of Tidying Up: The Japanese Art of Decluttering and Organizing"
First things first, she says it’s critical that you clean by category, not by location — don’t just tidy up your closet, gather all the clothes from every corner of your house and "place every item of clothing in the house on the floor." I’ve never thought of myself as a person who has a lot of clothes (I wear the same outfit every single Saturday) but when confronted with my staggering pile, I was shocked. When had I accumulated so much stuff? Next comes the purge: Kondo calls for you to pick up each item and ask yourself if it sparks joy. This takes forever and requires snack breaks, but you can’t get impatient because if done correctly, it’s incredibly liberating. The joy I felt when I picked up my favorite jeans became a barometer. Suddenly, I wanted everything in my closet to make me feel like that. The best part about Kondo’s book is her advice on how to deal with the hardest items to get rid of: those things that make you feel guilty. That dress I bought five years ago and wore just once, because it makes me feel dumpy? It’s survived many a purge because I can still remember how much it cost, and it’s in perfect condition — even though I know I’ll never wear it. It felt ridiculous, but I held the dress in my hand and thanked it. It was true, it had brought me joy at one point, and by now it had served its purpose. I was ready to move on. As I tucked it into a bag marked “donate,” I felt a wave of relief. Letting go turns out to be quite addictive. I quickly filled three huge bags to donate and applied the same tactic to my books, kitchenware and miscellaneous papers, feeling lighter and freer with every purge. But her method is worth trying, for the attitude shift and peace of mind it can bring you. Once you organize your life around what brings you joy and feel comfortable letting the rest go, you can shed clutter in all areas. So if something (or someone) doesn’t bring you joy, don’t try to justify its place in your world. Just say thank you and move on. Sort by category, not location: Don’t do the bedrooms first, then the living room, then the rest of the house. Do all your clothes, then all your books, etc. Tidy in one go. Don’t draw it out. If you tidy a bit each day, you’ll find that you’re tidying forever. Do it all at once and you’ll have the system in place to stay tidy. Pick up each item one at a time and ask yourself, "Does it spark joy?" Fold your clothes so that they stand up vertically. This way, you can put all your T-shirts (or other items) in a drawer and see every item at once, rather than digging through piles of fabric to find the shirt you want. Don't repurpose clothes to loungewear. Don’t justify keeping a torn, ratty T-shirt just because you think you can repurpose it as a pajama top. Recycle your papers. For important legal documents, scan them! Everything else you should get rid of. Don't keep gifts out of guilt. After the joy of the gift-giving moment is through, you can donate the gift without guilt. It has served its purpose. Storage experts are hoarders. A “clever” storage solution never really solves anything. A new box or organizer won’t make you tidy. Pursue ultimate simplicity. Start with what you know will be easy to get rid of. If you start with mementos or items you attach a functional value, it will be harder to know if they spark joy. Start with items that are easier to make decisions about, and then you will be in the right mindset to tackle mementos later. Follow TODAY.com's Meena Hart Duerson on Twitter here. This article was originally published on April 28, 2016 on TODAY.com.